Merchants can Constantly display latest products they want to push for more aggressive sale from their main landing page. Just tell the module to display only new or only sale or just make a new category and display it. Adding to this new category or new or sale will appropriately display in the configured slots to be displayed. Easy and simple to use and fast. 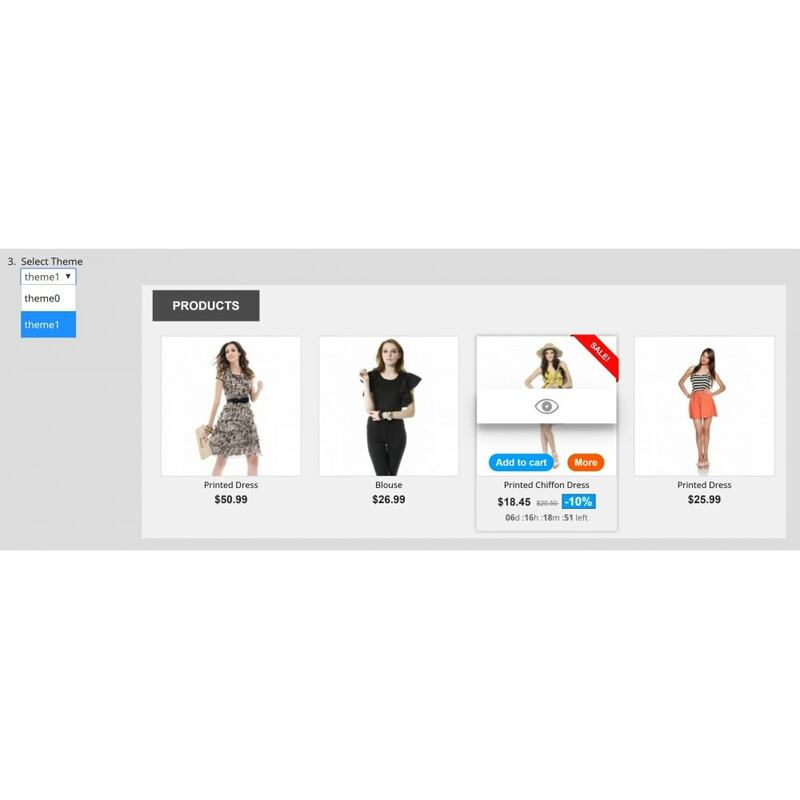 Shop does not get heavy as we now have ajax load more button which means more product will be loaded live only when the load more button is pressed by the customer online. 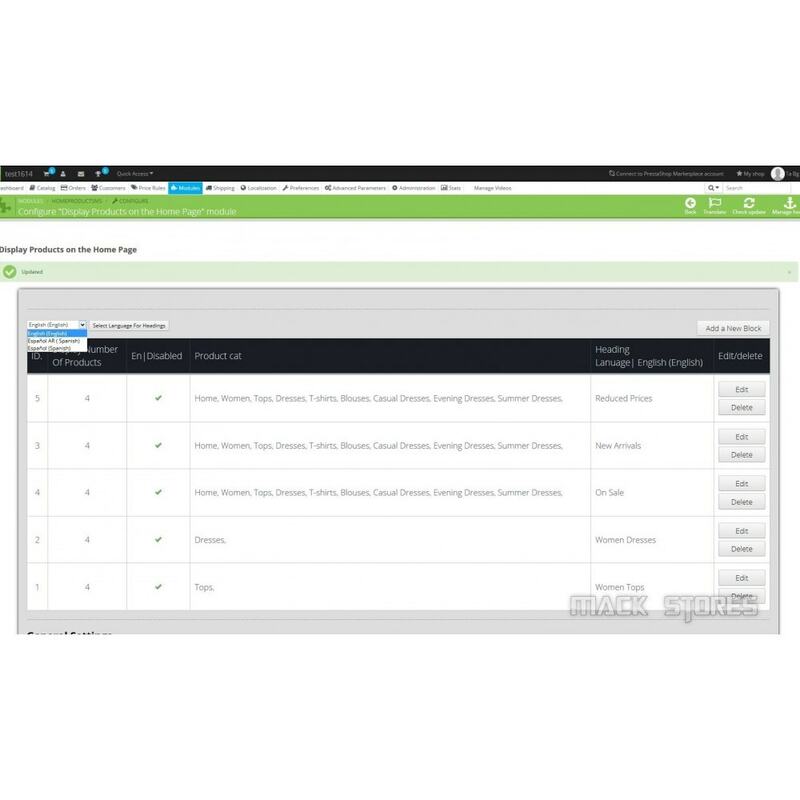 Supports Prestashop 1.6xxx and 1.7xx versions. Our Module helps In Putting Categories of products of your own choice on the front page. 1. Select multiple Categories and display it in one tab. 2. Display only sales products in selected category. 3. Display only new items in selected category. 4. Display only Reduced Sales items in selected category. 5. If Product has time limited percent sale like 10 percent discount for one day then it will show a simple countdown timer. 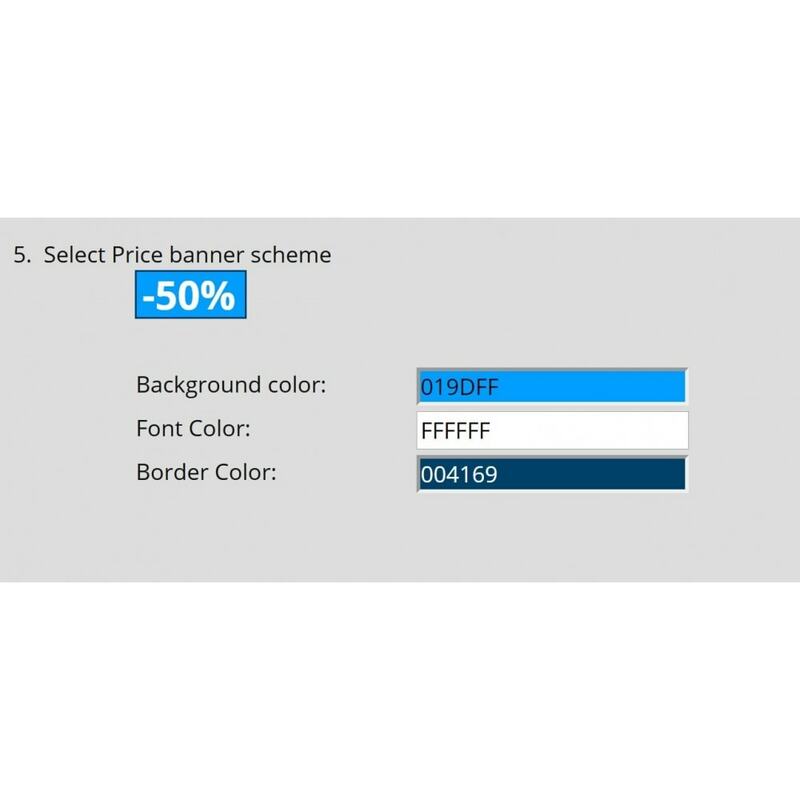 and when the discount ends while the customer is on the page the discount amount reverts to non discounted. 6. Add as many rows or tabs as you like. 7. Configure as tab or as rows. 8. Change display order of the selected category to be displayed (e.g. random, price ascending, alphabetical...). 9. Button Add to cart , Quick view, Price, countdown can be turned off and on in each row or category. 10. Tab Title or heading choose able with translation entry within the module only. 11. Sort the row or category to be displayed just by dragging them in the backed. 12. Change the display position of the module in the front page. 14. 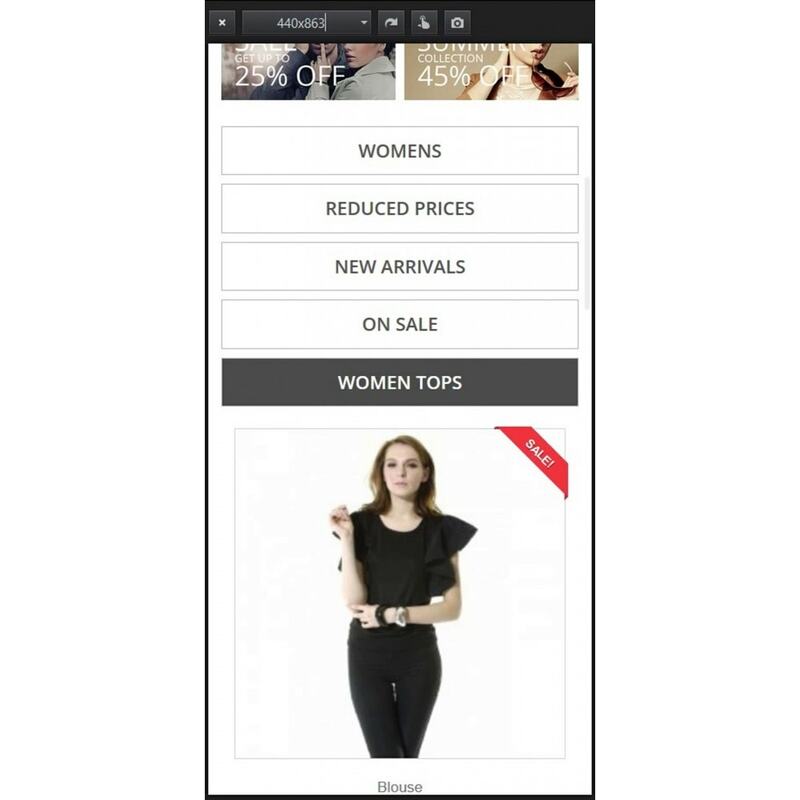 Display advertisement underneath each row or category with different codes. 15. 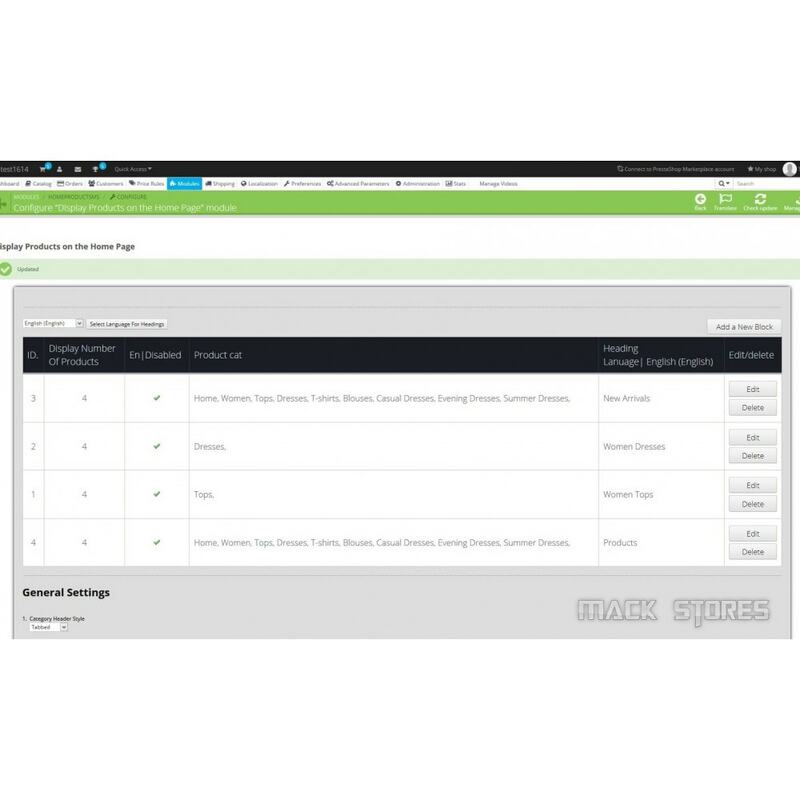 Easy manage the Categories defined in the backend and fast. 16. Fully Responsive display at front end. 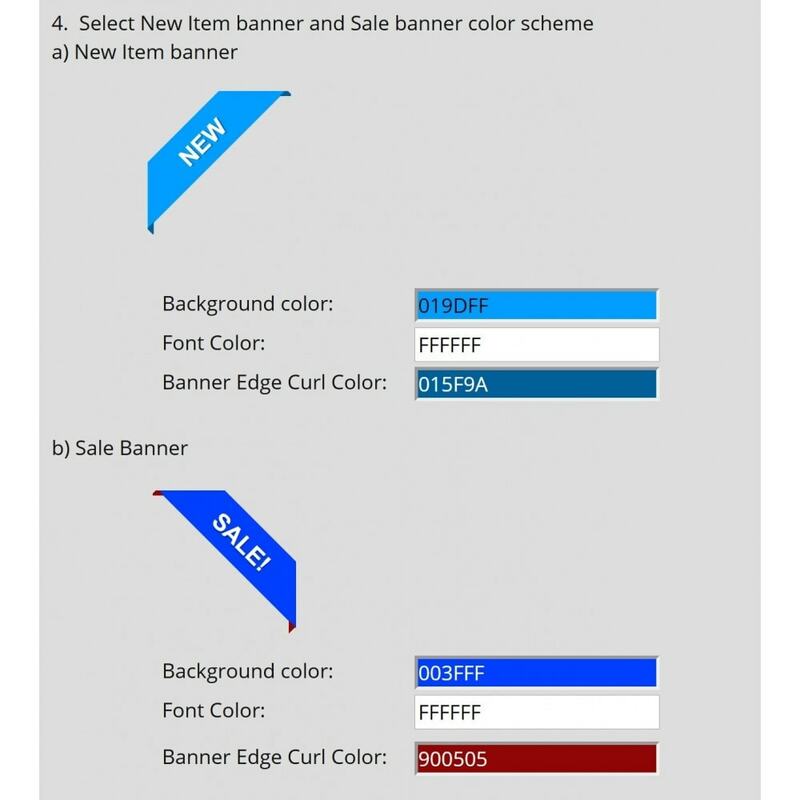 Added new theme and now choose your color scheme of add to cart button , more button, discount percentage box , new flag, sales flag just as your current theme . Customers get to see latest new products and Sales and reductions and relevant items. 1. Go to the Module selection in the back end of your prestashop and click Upload a module and browse to the zip file of our module. 2. After being successful at (1.) 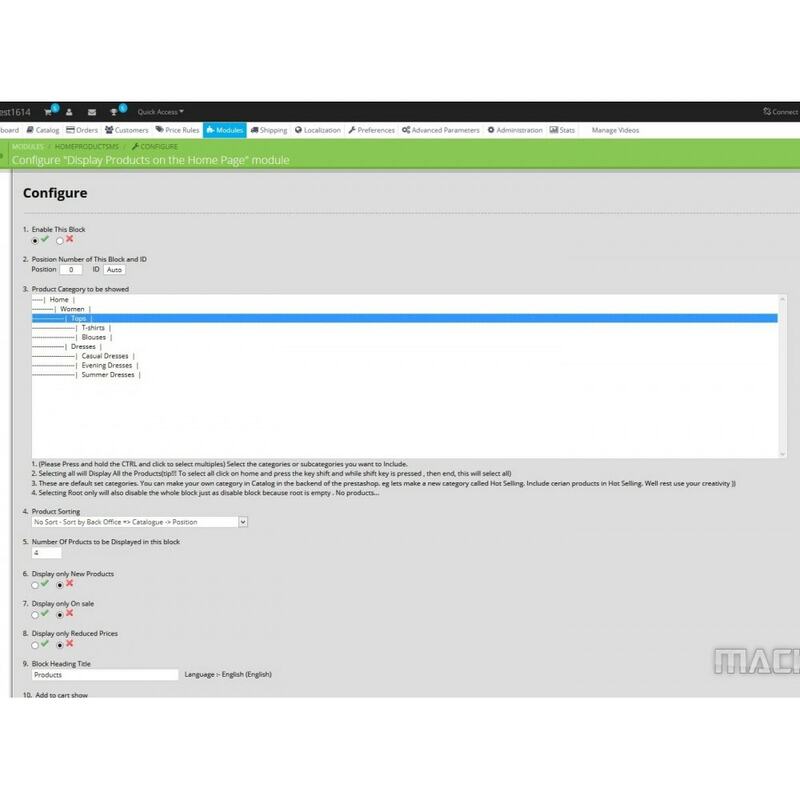 you will see the module installed and name ( Display Products on the Home Page) .You can click ( Configure ) on the right. 3. You will see a Add a new block button on the right top . Here you can press it and another form will ask you various configuration abouthe block, e.g how many products you cant to display, are that at random on incremental or alphabetical etc etc. 4. 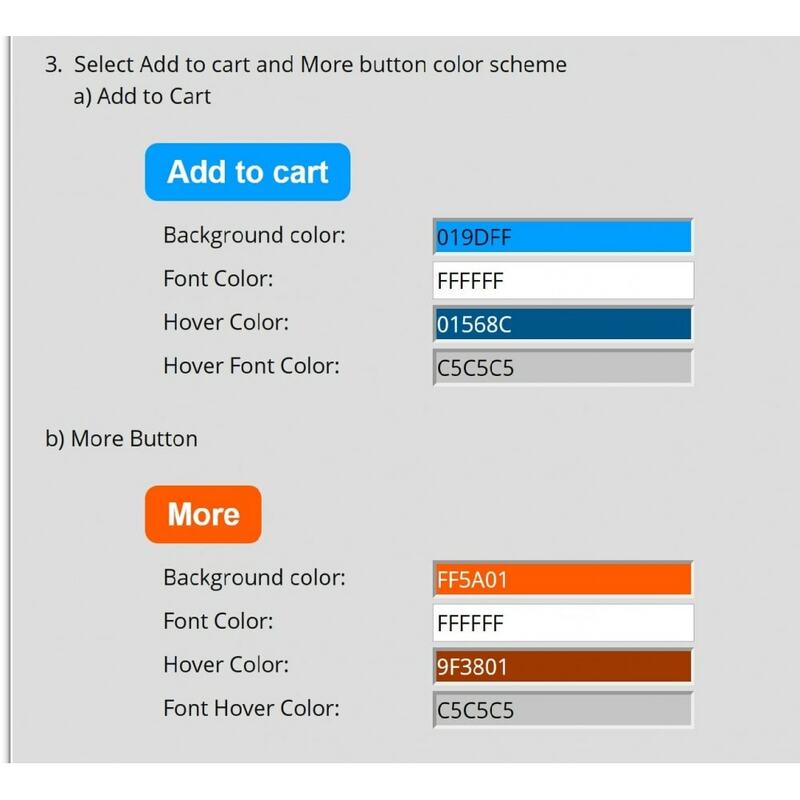 After creating new blocks, one can configure general settings of a module mainly for color combination of buttons, sales flag , etc etc.